I was recently interviewed at SF Signal on the subject of getting one’s short fiction published. Really, the answer is very simple and straightforward: write a good story and keep submitting it until it sells somewhere. But if you want a more elaborate version full of snark, or to learn what sort of bribes I accept, or to see me slam non-paying markets (again), then go ahead and click that link! And speaking of getting short fiction published, I recently sold a humor flash “Bedtime Story on Christmas Eve, 1,000,000 AD” to Spark: A Creative Anthology and it will appear in the next issue., which launches on January 1 and features a foreword by Kevin J. Anderson. A reprint of “Life at the Lake’s Shore” will appear in an upcoming “Outpouring: Typhoon Yolanda Relief Anthology,” a charity projected edited by Dean Francis Alfar. No link yet, but I will post one as soon as it’s available. Not much else to report on the acceptances front at this time, but then things do tend to slow down around the holidays. Meantime, I’ve been laboring away on Unidentified Funny Objects 3. I’m very happy to report that I already have three stories from three huge names in SF/F, and a fourth story in final edits. I have a really cool cover, too. Expect more information on this in January. A number of folks asked about the next submission period: we will have one in the Spring, most likely in March. I am absolutely committed to keeping each volume of the UFO series open to subs from the public alongside the stories solicited from the top pros. 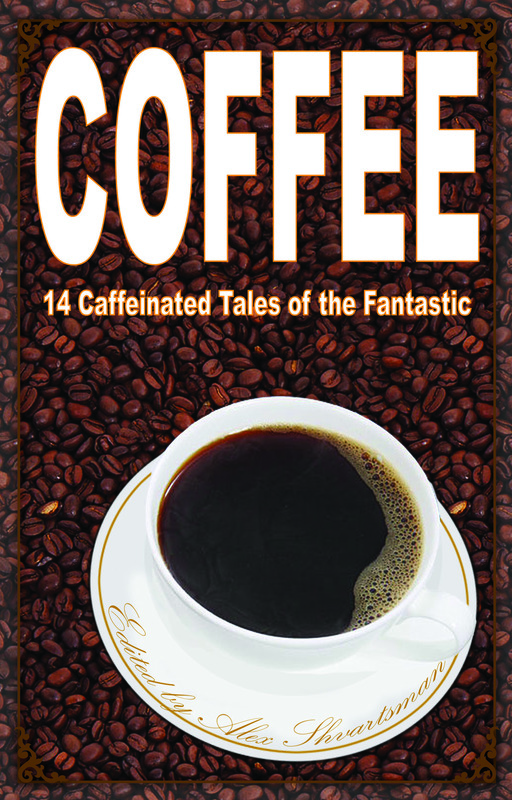 Meantime, there are a few days left to enter the giveaway for a signed paperback copy of COFFEE: 14 Caffeinated Tales of the Fantastic. Over 700 people already entered this giveaway, but it’s free to enter, so why not give it a shot? Just click here to participate. 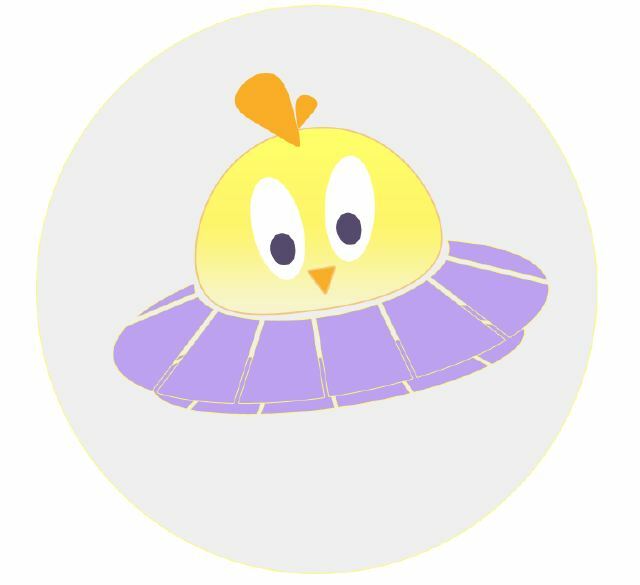 Space Chicken is satisfied with all the success the most recent batch of submission brings. We read and voted on stories #501-600 over the course of 11 days (longer if you count the time it took to vote on them, which is why I’m only posting this update now). 16 stories made it past the first reading and onto being read anonymously by the board. And of those sixteen I bought two and advanced three into the third round. A great crop for an 11 day span! There’s also one that has a requested rewrite but is promising as well. 61 of the stories received personal rejections, leaving only a third as form Rs. However, a form rejection doesn’t mean we especially hated the story. There are a lot of factors that go into it — sometimes the first reader just didn’t have a particularly useful comment to pass along, sometimes I’m crazy busy and trying to handle the slush pile, and *need* that extra minute or two per story (whereas the same story would get a comment if I read it at a less-hectic moment). There are presently 16 stories purchased for the book totaling 51,500 words. 16 stories in round 3 total 30,000 words. We’re now officially in the territory where round 3 cuts will become necessary, and we aren’t nearly done yet, with over 2 weeks of submissions to go. Our Kickstarter campaign has been chugging along and, as of this writing, stands at about $1850. Still a very long way to go, and we have to hit $5000 to get anything at all. So if you plan on buying the book when it comes out, please consider pre-ordering it via Kickstarter so we can reach our goal. As of this evening I have read and responded to exactly 100 submissions (counting unsolicited stories only). I read 100 stories totaling 207,000 words (that’s about two novels worth) between June 4th and today. Please note that most of these submissions are from professional writers who were invited to submit, members of SFWA and members of Codex Writers — so the statistics are significantly skewed as compared to what may be expected from an upcoming open submissions call. Of 100 stories read I bought four. Seven more were strong enough to advance to round 3 (stories I’m highly likely to buy but not 100% sure yes, and will make final decisions at the end of the submission period). I sent a rewrite request for one more story. The remaining 88 were rejected. Exactly 25 of the submitted stories were advanced to the second round and read by the full editorial board. The remaining 75 were rejected in the first round. Almost every submission was responded to — with either a rejection or a bump up into the second round — within 24 hours. A total of 40 submissions have been reported on Duotrope. However, 3 of the 4 acceptances (75%) were reported, as opposed to just 30 of 75 rejections (about 40%). The most common reason for rejecting a story was its apparent lack of funny. I strongly encourage everyone who plans on submitting to the anthology to read the excerpts from the accepted stories on this blog as well as the sample stories linked at the bottom of the submission guidelines page. We want speculative humor, not just a lighthearted story with a couple of funny lines here and there. I received queries from several artists who expressed interest in becoming involved in the project. I honestly didn’t have a ready-made answer for them. Beyond cover art and layout (which had been commissioned already) I had no intention of including interior art. However, I can be persuaded otherwise. If you’re interested in producing interior artwork for the book (either original artwork or using your existing pieces), please feel free to query at the submissions address. I did not budget for this, so all I can offer interior artists at this time are copies of the book and publication credit. But, if you’re interested anyway, do e-mail me. This is what happens to stories that are submitted for publication in Unidentified Funny Objects. * Is the story well-written? So far almost every submission I received clears this benchmark with ease. Then again, that’s because submissions have been open to SFWA and Codex members and you don’t get to join those without a considerable amount of skill. I’m also OK with some minor problems/issues that we can fix in editing. You will never get rejected because of a typo or because of 1-2 awkward sentences. Of course, if the manuscript is riddled with both, that’s another story. * Is there a coherent story arc and a good ending? This is where many of the submissions fail for me. In some cases (often in flash stories) they’re a delivery system for a joke or a clever idea the author had. In other cases the setup is great and the story is interesting, but it peters out in the end. Endings are *hard* to do well and it’s disappointing to see a story which shows a lot of potential early fail to live up to that potential on the last page. * Is the story funny? In order to be considered for UFO, the story has to be humor, and not merely lighthearted. To paraphrase a comment one of the associate editors made on a recent submission: “A story with a bit of character-based humor isn’t a ‘humorous story’ no matter how much you want five cents per word.” A large percentage of submissions are rejected because, while they’re good, competently written stories, they aren’t particularly funny. I’ve tried to solve this problem by utilizing a panel of readers. Stories that I like enough to consider publishable (including some that I don’t find very funny but suspect others might) are advanced into the second round of consideration. I strip all author information from the document and pass them along, anonymously, to a panel of readers. Why, you ask? I want stories from unpublished authors to be given the same consideration as those from Nebula nominees. In fact, several submissions from actual Nebula nominees met an ignoble end in the second round thus far. Each associate editor reads the story and sends me their vote and their comments. They can vote “No,” ‘Yes,” or “Maybe.” The “Maybe” vote is reserved for those stories where the reader thinks it might be good but its sense of humor doesn’t align with their own, or stories that someone is genuinely on the fence about. You’d be surprised at how often the “Maybe” vote is used. Readers are encouraged (but not required) to provide a few sentences of comments on the submission, especially if their vote is a no. If the story is rejected in the second round I provide some of that feedback to the author, so they may consider it (or not) for making possible changes before they send their story on to the next market. So far we’ve kept stories in round 2 anywhere between two days and eight days. Everything is read quickly, but some are more difficult decisions than others. Occasionally there’s quite a lot of back and forth between us on a particular story. One of us might champion a specific submission that others didn’t like as much, and vise versa. Stories with a high percentage of “Yes” votes (and not a single one has been unanimous yet) are advanced into the third round of consideration and I e-mail the author a ‘Hold Request’ — asking permission to sit on their story until early September. At that time the remaining slots in the table of contents will be filled with these stories. Why make people wait so long? Suppose an author submitted a good, funny story about time traveling to the 1950’s. The story advanced through the rounds and was held. But then, another author submitted a story that is absolutely brilliant, and it also happens to be a 1950’s time travel piece. We’re very unlikely to publish two similar stories, and so the former one has to be released. Other considerations such as available space and variety (I want a mix of genres and styles) also come into play.